Tecno Camon X VS iPhone X: Specs Comparison. 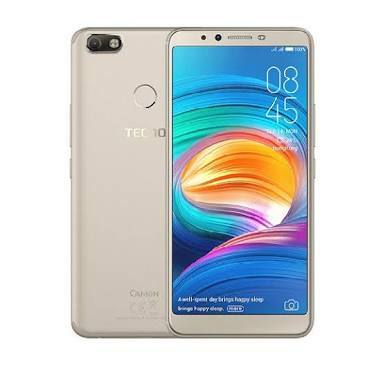 Tecno Mobile newest flagship “Camon X” was just released and its been getting some serious buzz in Africa/Nigeria. As we all know, the Camon series is all about camera quality and bright pictures. Some pundits in the tech world are even saying the Camon X camera takes better picture than the iPhone X. Instead of comparing just their camera quality, why not compare their full specs and features. Both phones are almost the same in sleekness with the Camon X measured at 7.8mm thickness. While iPhone X measures at 7.7mm thickness. Surprisingly, the Camon X is lighter than the iPhone X. I don’t think many users would want a heavy phone, at least not me. So i’d say good job to Tecno Mobile. The Camon X weighs just 148 grams while iPhone X weighs 174 grams. The Camon X comes in Champagne Gold, Midnight Black and City Blues colors. While the iPhone X offer Silver and Space Grey colors only. The iPhone X comes in glass front and back with stainless steel while Camon X comes with just the front glass and aluminum alloy at the back. The iPhone X is water/dust resistant proven with an IP67 rating. While the Camon X isn’t. The iPhone X has a dual rear camera placed horizontally in the top-left corner with a quad-LED dual-tone flash in-between the cameras. While the Camon rear camera is vertical to a quad ring flash. The Camon X comes with a 6.0 inch IPS LCD touchscreen. With 720 x 1440 pixels resolution and 274 ppi density. Which doesn’t come close to iPhone X 5.8 OLED touchscreen. And resolution of 1125 x 2436 pixels with 458 ppi density. Both phones are however bezel-less. The iPhone X ditched their Apple usual front fingerprint sensor for a facial recognition system know as “Face ID”. While the Camon X has no Face ID, it does come with a rear fingerprint sensor. Tecno Camon CX vs Apple iPhone 7: Can the underdog defeat the world best smartphone? The real test that brought this comparison. I think this is the only category the Camon X gives the iPhone X a tough battle. The Camon X comes with a 16MP rear camera with quad ring flash. While the iPhone X has a dual 12MP rear camera. The Camon X is equipped with a 20MP front camera with dual-LED flash. And the iPhone X has a 7MP front camera with no LED flash. While the iPhone X front camera is said to have depth-sensing capabilities for its face ID. The Camon X has the latest generation of dual ISP image processor (this means the dual processor will work synchronously, which will make the processing efficiency to better and faster). The Camera X front camera also have features like Panorama, Beauty and Portrait mode. Both smartphone comes with a 3GB RAM size. The ROM of Camon X is 16GB which can be expanded to 128GB by using a dedicated microSD slot. The iPhone offer two models based on ROM, 64GB and 256GB. You know Apple doesn’t win battery battle. The Camon X is powered by a non-removable Li-Ion 3,750 mAh battery capacity with fast charging system. iPhone X comes with 2,716 mAh battery capacity. Arguably one of the most expensive smartphone, the iPhone X goes for about $1,230 (N430,500). While the Camon X goes for $165 (N58,000). The Camon X won the battery category and had a tie in the camera category. The iPhone won the Hardware & Display category. Given that the iPhone X is seven times more the price of Camon X, i would say Camon X is the value one. And iPhone X price is simply outrageous. 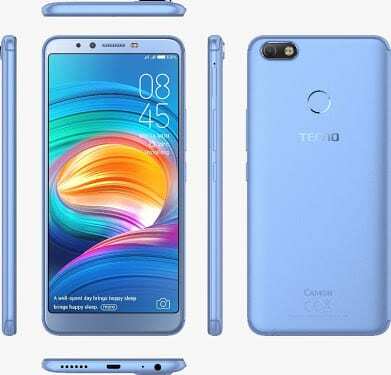 Bro, you tried but Camon X has Face I’d and other added interesting features. Camon X is a fantastic phone and it also has an awesome price compare to the iPhone. wow, this camon x is a great device and is way cheaper than the iphone x, so to me its a better device considering the budget.